This exciting machine makes short run promotional wear a real, viable option. With a print area of 61 x 42cm or 61 x 85cm and excellent resolution, you can be assured that your clients will get a quality print. The White Ink Management system makes printing on black garments an absolute pleasure. Visit their website to see the services they offer. Daniel from NSDS hands over the DTG M2 printer to Johan and Donavon from Inprint in Witbank. The DTG M2 direct to garment machine. NSDS is proud to supply the DTG range of direct to garment printers. 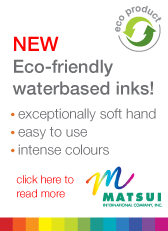 DTG Digital are manufacturers of advanced digital inkjet printer systems. For over a decade their unique digital Inkjet systems have been manufactured for a multitude of applications. DTG and NSDS are committted to providing the best solution for your printing needs. 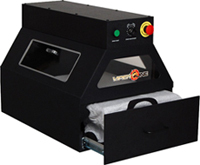 White Ink Management System (WIMS) - The DTG-WIMS is the final answer to white ink print. Unique and innovative technology significantly reduces head clogging and maintainance downtime. Interweave - The all new iQ Interweave technology is a core development in support of textile decoration. A new science that delivers greater flexibility and quality of print to a wider range of garments. More ink when and where you need it! iQ Colour RIP - Print quality and features within a RIP - do make a difference to your overall design. Specifically designed for the M-Series, the iQ Rip supports many file formats and the colours are sharp and accurate. White layers are auto generated with complete scalability.